On 18 June 2016, the An Saol Foundation launched a pilot programme aimed at connecting the practice of neuro-rehabilitation in Ireland with the results of recent research showing that intensive mental and physical exercise is the only reliable strategy to regain function in the case of a severe acquired brain injury. The pilot programme launched will establish a day-care centre for five survivors of sABI offering an intensive and inclusive neurological rehabilitation programme that will be informed by best international practice. The total cost of the three-year programme is estimated to be 1.5 million euro over three years. Fundraising for the An Saol Project kicked off on 26 June in the USA where a group of Pádraig Schaler’s friends cycled from Boston to Cape Cod to arrive at the location of the accident on the third anniversary, 27 June, at 10am. This cycle was supported by a parallel “Summer Session supporting An Saol and The Great American Cycle” on 26 June 2016 in the Pavilion Bar, TCD, at 1pm-5pm, with live music from Claire Hyland and Aisling O' Leary at 2pm and live music from acclaimed Irish folk/trad group, The Bonnymen, at 3pm. A second major fundraising cycle took place in October 2016 from Hollywood (04 October) to Napa (14 October), taking in San Francisco and the Silicon Valley. The cycles are sponsored by Californian bicycle manufacturer Marlin and Little Sport of Fairview, Dublin. Fundraising activities have continued ever since, with families and friends organising car booth sales, glamorous fundraising concerts, as well as birthday parties with presents going directly to the An Saol Foundation - amongst other activities. The latest effort will be our participation in the Hamburg Marathon on 29 April 2018. 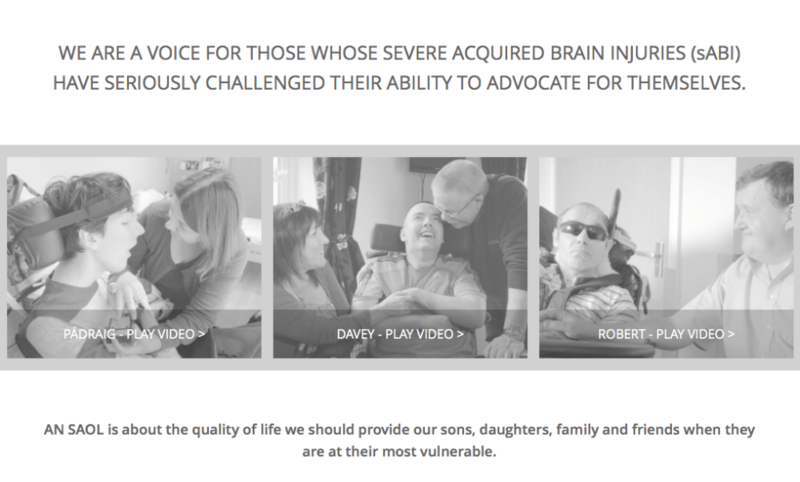 We are families, friends, and supporters of persons affected by a severe acquired brain injury (sABI). 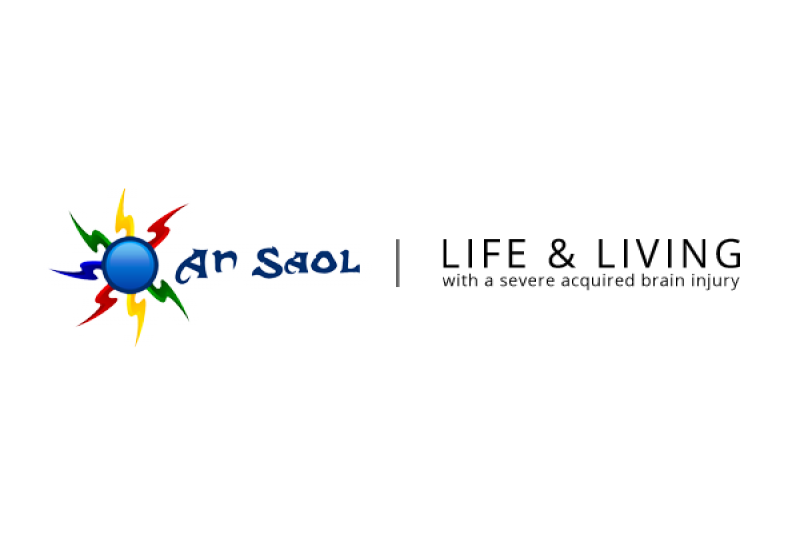 We have established the An Saol Foundation as a non-profit organisation, registered in Ireland. An Saol will afford every opportunity to survivors of sABI to live their life with dignity and respect, to continue to improve, to regain as much independence and self-determination as possible, and for their injuries to heal, supported by adequate therapies. We will offer advice and support to families and friends affected by sABI. This coming Sunday, 29 April 2018, I will be running the Hamburg Marathon for the An Saol Foundation. I "run" this marathon for the first time in 2014 when our son Pádraig had got through his first months of rehabilitation and I realised that we were in this for the long term. This time, I will participate to remind myself of the enormous effort that Pádraig and other survivors like him are making to participate in life, and that we need to do everything we can to support them. Tomorrow night a good friend and supporter of An Saol, Ruth, will celebrate her big birthday in Dublin. She has asked her guests to make a donation to help with the funding of the An Saol Project - rather than bringing presents for her. What a great and so very generous way to support our work for survivors of severe brain injuries! The An Saol Project will enable them to live a life with dignity and respect. Thank you, Ruth, and thank you all of her family and friends who are going to celebrate a great woman's birthday tomorrow night and who are going to help survivors to regain some quality of life at the same time! We will be leaving tomorrow morning at 7.15am to meet up with the main group in Longford at 9am. After a quick breakfast in Roscommon, we'll be heading up to Co. Mayo to climb Croagh Patrick in order to raise awareness for Neuro Rehab and raise funds for the An Saol Project. Thank you to all who have so far contributed to this huge fundraising effort! We will get the funds necessary together to launch a service for survivors of severe brain injuries so that they can live their lives with dignity and respect! 300 euro raised in as many days! We can make this happen!!! I donated because I have just read Christopher Nolan's 'Under the eye of the clock' and it has really opened my eyes to the challenges faced by people with extensive paralysis and their families. May Dolores Breslin rest in peace, love and prayers to the family.